Waikato veteran and vintage car club Cambridge NZ - Veteran and Vintage Car Club (Waikato) Inc. The Vintage Car Club of New Zealand (Inc.) was formed in 1946 in Canterbury, New Zealand, initially as the Vintage Vehicles Association. Since then, over 30 branches have become established throughout the country. The Vintage Car Club of NZ (Inc.) has its headquarters in Christchurch and is acknowledged as the Historic Vehicle Authority of NZ. The scope of the Club’s interest includes not only cars, but all powered and wheeled vehicles including motorcycles, commercial, agricultural and military vehicles. 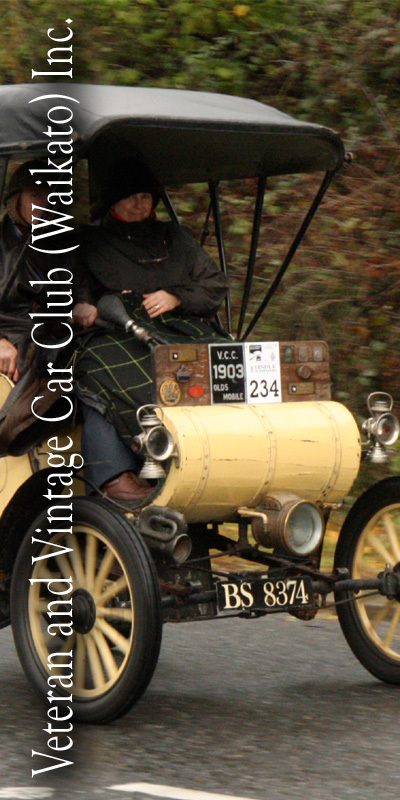 The Branch is responsible for administering Vintage Car Club of NZ (Inc.) affairs in the Waikato region, which covers the greater Waikato area including the Coromandel and the northern King Country. We have common boundaries with the Auckland Branch at the Bombay Hills, with the Bay of Plenty Branch at the Kaimai Range, with South Waikato Branch to the south of Tirau, with Rotorua Branch at the Mamaku Forest Park, and with the King Country Branch to the south of Piopio. Our region covers an area of varied landscape and roading conditions and incorporates some of the finest motoring in the entire country. Well, we think so anyway. Regular meetings, rallies, tours and social events have been held since the club was founded in 1958, for all types of club-eligible vehicles at various locations around the district. 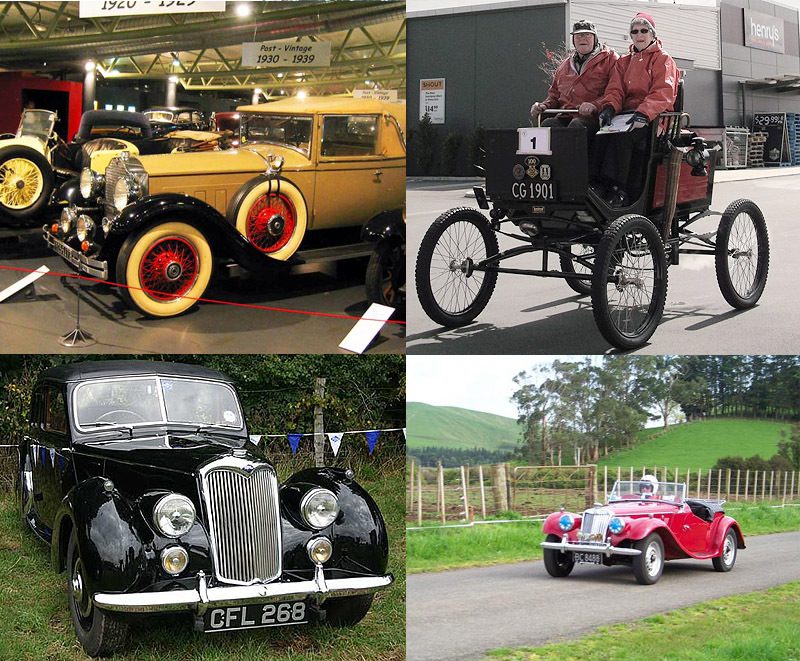 The National body, The Vintage Car Club of New Zealand (Inc.) hold International rallies, usually about six years apart. We organised one of these events based at Mystery Creek in the millennium year 2000.